Tuote SCD22767. UA741CDR SMD SO-8. Texas. Tuote SDF21198. 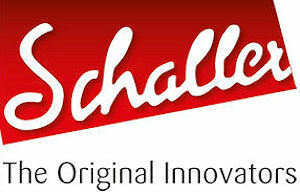 75179 Differential RS-422/423/485 line driver/receiver DIL-8. Tuote 113399. 74HC4316 piiri DIP jalallinen quad analog switch with level translator. Tuote 113400. 74HC4511 piiri DIP jalallinen BCD to 7-segment decoder. Tuote 113401. 74HC4538 piiri DIP jalallinen dual retriggerable precision monostable multivibrator. Tuote 113402. 74HC4072 piiri DIP jalallinen high speed CMOS dual 4-input OR gate. Tuote 113365. 74HC688 piiri DIP jalallinen 8-bit equality comparator. Tuote 113366. 74HC4002 piiri DIP jalallinen dual 4-input NOR gate. Tuote 113367. 74HC4016 piiri DIP jalallinen quad bilateral switch. Tuote 113368. 74HC4017 piiri DIP jalallinen 5-stage ÷10 Johnson counter. Tuote 113369. 74HC4020 piiri DIP jalallinen 14-stage binary counter. Tuote 113370. 74HC4024 piiri DIP jalallinen 7-stage ripple carry binary counter. Tuote 113373. 74HC4040 piiri DIP jalallinen 12-stage binary ripple counter. Tuote 113374. 74HC4046 piiri DIP jalallinen phase-locked loop and voltage-controlled oscillator. Tuote 113375. 74HC4049 piiri DIP jalallinen hex inverting buffer. Tuote 113376. 74HC4050 piiri DIP jalallinen hex buffer/converter (non-inverting). Tuote 113377. 74HC4051 piiri DIP jalallinen high-speed CMOS 8-channel analog multiplexer/demultiplexer. Tuote 113394. 74HC4052 piiri DIP jalallinen dual 4-channel analog multiplexer/demultiplexers. Tuote 113395. 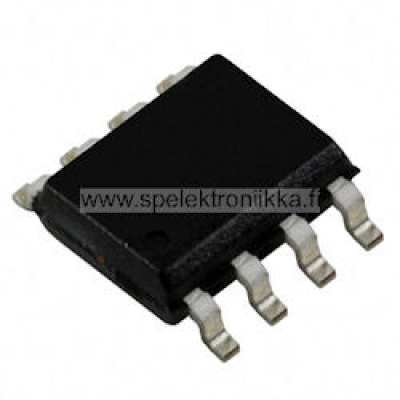 74HC4053 piiri DIP jalallinen triple 2-channel analog multiplexer/demultiplexers. Tuote 113396. 74HC4060 piiri DIP jalallinen 14-stage binary ripple counter with oscillator. Tuote 113397. 74HC4066 piiri DIP jalallinen quad bilateral switches. Tuote 113398. 74HC4078 piiri DIP jalallinen 8-input OR/NOR gate. Tuote 113340. 74HC283 piiri DIP jalallinen 4-bit binary full adder. Tuote 113341. 74HC299 piiri DIP jalallinen 8-bit bidirectional universal shift/storage register with three-state outputs. Tuote 113342. 74HC354 piiri DIP jalallinen 8 to 1-line data selector/multiplexer with transparent latch, three-state outputs. Tuote 113343. 74HC373 piiri DIP jalallinen octal "D" transparent latch with 3-state output. Tuote 113344. 74HC374 piiri DIP jalallinen octal D flip-flop with 3-state output. Tuote 113345. 74HC390 piiri DIP jalallinen dual 4-bit decade counter. Tuote 113350. 74HC534 piiri DIP jalallinen Octal inverting D-type flip-flop with 3-state outputs. Tuote 113347. 74HC540 piiri DIP jalallinen inverting octal buffer with three-state outputs. Tuote 113348. 74HC541 piiri DIP jalallinen non-inverting octal buffer with three-state outputs. Tuote 113349. 74HC563 piiri DIP jalallinen 8-bit D-type transparent latch with inverting three-state outputs. Tuote 113354. 74HC573 piiri DIP jalallinen octal D-type transparent latch with three-state outputs. Tuote 113355. 74HC574 piiri DIP jalallinen octal D-type edge-triggered flip-flop with three-state outputs. Tuote 113356. 74HC589 piiri DIP jalallinen 8-bit shift register with input latch, three-state outputs. Tuote 113357. 74HC590 piiri DIP jalallinen 8-bit binary counter with output registers and three-state outputs. Tuote 113320. 74HC193 piiri DIP jalallinen synchronous up/down 4-bit binary counter with clear. Tuote 113321. 74HC195 piiri DIP jalallinen 4-bit parallel-access shift register. Tuote 113322. 74HC221 piiri DIP jalallinen dual monostable multivibrator with Schmitt trigger input. Tuote 113323. 74HC237 piiri DIP jalallinen 3-of-8 decoder/demultiplexer with address latch, active high outputs. Tuote 113325. 74HC240 piiri DIP jalallinen octal buffer with Inverted three-state outputs. Tuote 113326. 74HC241 piiri DIP jalallinen octal buffer with noninverted three-state outputs. Tuote 113328. 74HC245 piiri DIP jalallinen octal bus transceiver with noninverted three-state outputs. Tuote 113329. 74HC251 piiri DIP jalallinen 8-line to 1-line data selector/multiplexer with complementary three-state outputs. Tuote 113330. 74HC253 piiri DIP jalallinen dual 4-line to 1-line data selector/multiplexer with three-state outputs. Tuote 113331. 74HC257 piiri DIP jalallinen quad 2-line to 1-line data selector/multiplexer with noninverted three-state outputs. Tuote 113332. 74HC259 piiri DIP jalallinen 8-bit addressable latch. Tuote 113336. 74HC273 piiri DIP jalallinen 8 x D flip-flop with clear. Tuote 113338. 74HC279 piiri DIP jalallinen quad set-reset latch. Tuote 113339. 74HC280 piiri DIP jalallinen 9-bit odd/even parity bit generator/checker. Tuote 113304. 74HC151 piiri DIP jalallinen 8-line to 1-line data selector/multiplexer. Tuote 113305. 74HC153 piiri DIP jalallinen dual 4-line to 1-line data selector/multiplexer. Tuote 113306. 74HC154 piiri DIP jalallinen 4-line to 16-line decoder/demultiplexer. Tuote 113308. 74HC157 piiri DIP jalallinen quad 2-line to 1-line data selector/multiplexer, noninverting. Tuote 113309. 74HC160 piiri DIP jalallinen synchronous 4-bit decade counter with asynchronous clear. Tuote 113310. 74HC161 piiri DIP jalallinen synchronous 4-bit binary counter with asynchronous clear. Tuote 113311. 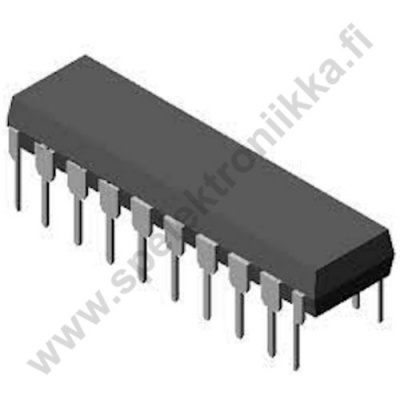 74HC163 piiri DIP jalallinen synchronous 4-bit binary counter with synchronous clear. Tuote 113312. 74HC164 piiri DIP jalallinen 8-bit parallel-out serial shift register with asynchronous clear. Tuote 113313. 74HC165 piiri DIP jalallinen 8-bit serial shift register, parallel Load, complementary outputs. Tuote 113314. 74HC166 piiri DIP jalallinen parallel-Load 8-bit shift register. Tuote 113315. 74HC173 piiri DIP jalallinen quad D flip-flop with three-state outputs. Tuote 113316. 74HC174 piiri DIP jalallinen hex D flip-flop with common clear. Tuote 113317. 74HC175 piiri DIP jalallinen quad D edge-triggered flip-flop with complementary outputs and asynchronous clear. Tuote 113318. 74HC191 piiri DIP jalallinen synchronous up/down binary counter. Tuote 113319. 74HC192 piiri DIP jalallinen synchronous up/down decade counter with clear. Tuote 113287. 74HC32 piiri DIP jalallinen quad 2-input OR gate. Tuote 113288. 74HC42 piiri DIP jalallinen BCD to decimal decoder. Tuote 113289. 74HC73 piiri DIP jalallinen dual J-K flip-flop with clear. Tuote 113290. 74HC74 piiri DIP jalallinen dual D positive edge triggered flip-flop with preset and clear. Tuote 113291. 74HC75 piiri DIP jalallinen 4-bit bistable latch. Tuote 113292. 74HC85 piiri DIP jalallinen 4-bit magnitude comparator. Tuote 113293. 74HC86 piiri DIP jalallinen quad 2-input XOR gate. Tuote 113294. 74HC93 piiri DIP jalallinen 4-bit binary counter (separate divide-by-2 and divide-by-8 sections). Tuote 113295. 74HC123 piiri DIP jalallinen dual retriggerable monostable multivibrator with clear. Tuote 113296. 74HC125 piiri DIP jalallinen quad bus buffer with three-state outputs, negative enable. Tuote 113297. 74HC132 piiri DIP jalallinen quad 2-input NAND Schmitt trigger. Tuote 113299. 74HC138 piiri DIP jalallinen 74HC138 piiri DIP jalallinen 3 to 8-line decoder/demultiplexer. Tuote 113300. 74HC139 piiri DIP jalallinen dual 2 to 4-line decoder/demultiplexer. Tuote 113301. 74HC147 piiri DIP jalallinen 10-line to 4-line priority encoder. Tuote 113302. 74HC148 piiri DIP jalallinen 8-line to 3-line priority encoder. Tuote 113270. 74LS540 piiri DIP jalallinen inverting octal buffer with three-state outputs. Tuote 113271. 74LS541 piiri DIP jalallinen non-inverting octal buffer with three-state outputs. Tuote 113272. 74LS574 piiri DIP jalallinen octal D-type edge-triggered flip-flop with three-state outputs. Tuote 113273. 74LS670 piiri DIP jalallinen 4 by 4 register file with three-state outputs. Tuote 113274. 74HC00 piiri DIP jalallinen quad 2-input NAND gate. Tuote 113275. 74HC02 piiri DIP jalallinen quad 2-input NOR gate. Tuote 113276. 74HC04 piiri DIP jalallinen hex inverter. Tuote 113277. 74HC05 piiri DIP jalallinen hex inverter with open collector outputs. Tuote 113278. 74HC08 piiri DIP jalallinen quad 2-input AND gate. Tuote 113279. 74HC10 piiri DIP jalallinen triple 3-input NAND gate. Tuote 113281. 74HC11 piiri DIP jalallinen triple 3-input AND gate. Tuote 113282. 74HC14 piiri DIP jalallinen hex Schmitt trigger inverter. Tuote 113283. 74HC20 piiri DIP jalallinen dual 4-input NAND gate. Tuote 113284. 74HC21 piiri DIP jalallinen dual 4-input AND gate. Tuote 113285. 74HC27 piiri DIP jalallinen triple 3-input NOR gate.